Getting this months photos was fun... NOT! Parker is at that age where he hates having his picture taken. As soon as he sees my phone he will pull a face and run away. He absolutely hates it. So getting a picture of them both together was bound to be a nightmare. 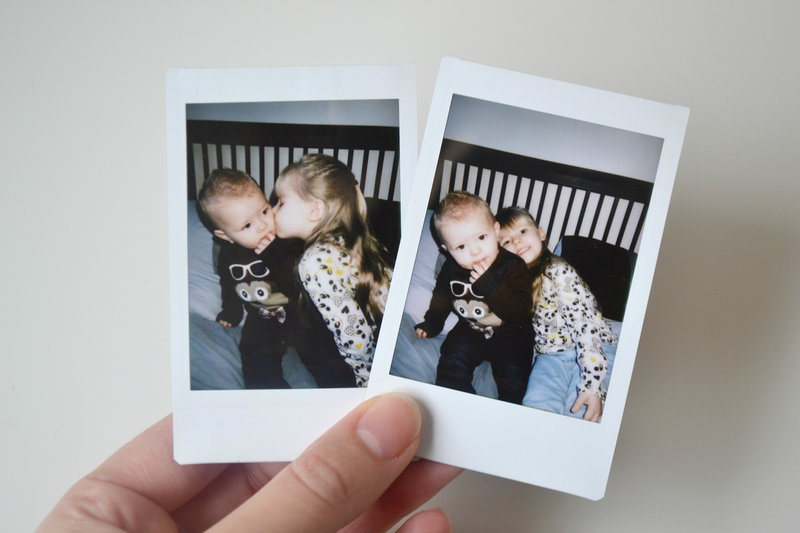 Thankfully he doesn't yet hate my Instax Mini 8 so this months pictures are a picture of pictures. He will sit and pose for a while and I managed to get quite a few cute shots of them both. Something even better is that because of how I took them they are already a physical picture. A bit of a shame I can't blow them up bigger but at least we have them. I am so glad that they gave each other and are the best of friends. Parker is talking more and more and Paige loves it. I can't wait until they can have proper little convocations. They make me so proud each and every day. I could sit and watch them for hours. I like the little photos!